So today we're supposed to talk about local networking in real life. I've always been a big author-stalker (though I kicked it into gear about 6 years ago after meeting Shannon Hale), but when I was blogging I thought I was the only one around who did it. Sure I knew there were other bloggers, I just didn't think there were any around me. Then one day I got a package from Emily and I noticed that her address was in my same county! Imagine my excitement! I immediately e-mailed her, expecting her to say something along the lines of "I thought I was all alone!" because that's how I had felt. I was more than a little surprised to find out not only was I not the only Utah blogger, there were a BAJILLION of us, and we all got together regularly! Fast forward to now, and I'm totally engrossed in the real life blogging community, as well as the online one. Emily and I text regularly, five of us had a meeting over dinner to decide what would happen with Utah Book Month, I went to the Hunger Games with a bunch of bloggers, and now I have author-stalking buddies! Author-stalking is it's own sport by itself in Utah! 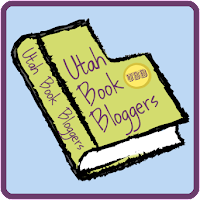 There are so many fabulous Utah authors: Shannon Hale, Ally Condie, Bree Despain, Brodi Ashton, Brandon Mull, Sara Zarr, and that's just to name a few! 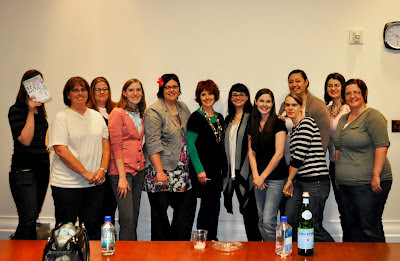 I've learned that these ladies (I mostly interact with the lady authors) are SO SWEET! And knowing them has paid off! I got to help with the graphics of Calamity Jack, Ally Condie is always SO SWEET to me, and I was in a critique group with Brodi Ashton. Not to mention the review copies that I get from them (which are not many, but are always AWESOME). Meeting Elana Johnson, Moira Young, and Michelle Hodkin. And publishers are starting to notice our fair state. Due to some awesome people at our local libraries and bookstores (I'm looking at you CL and TKE), we've had some HUGE names come our way. I've got to meet Scott Westerfeld, Moira Young, Markus Zusak, and more! And coming up I get to meet Eoin Colfer, Lois Lowry, Jonathan Maberry, Veronica Roth, and even more! All in all, I'm pretty sure I live in the best blogging-state there is. Networking in real life is my FAVORITE part of blogging. Hands down. Does your state have a strong IRL presence? If not, you should try to start one! Utah's IRL fun-times wouldn't have happened without some motivated people getting it started (Thanks Natasha!). Maybe you can be that motivated person for your state! I totally consider myself a pseudo-Utah blogger, since I'm so close! I haven't been able to make it down to as many events as I'd have liked (school always gets in the way. Stupid school. ), but I'm planning on being able to do more, starting with the Dark Days Tour in July. I'll be there if it kills me! And if things work out according to plan, which I should know by now that they totally won't, I'll be moving back to Salt Lake next year. 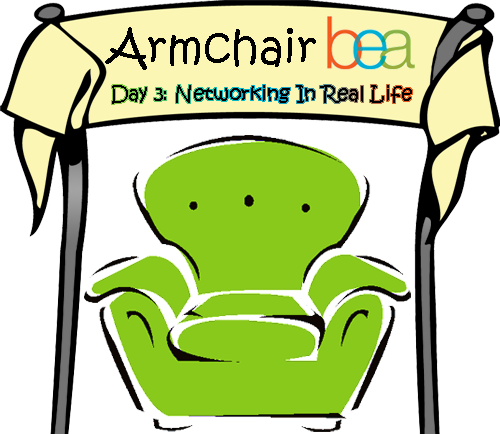 Hurrah for more chances to hang with awesome bloggers and authors!! I am jealous. When I lived there it wasn't so great. Now I am gone it seems to be where all the fun is. I will have to see this network for myself when I visit. :) Maybe try to learn a thing or two to help me lackluster state. Hold it. When is Colfer going to be in UT? That is cool you all found each other! I love our state! It's so, so awesome. And, seriously, CL and TKE ARE the best! Oh sounds like fun to be a UTah blogger. Sadly I am not but a Nor Cal one. You have meet some awesome people it seems. I really need to find some bloggers near me - I'm like you, and I kind of doubt there are any anywhere close to me (I live in the middle of nowhere, though, so it really wouldn't suprise me). But, I guess in the end this is inspiring me to work at finding others, so that's a good thing. You're so lucky to have such great events near you! That's so cool that you have a local group of bloggers like that. We've starting do some of that in your neighboring state of Colorado too! It sounds like you guys up in Utah have a great thing going for you. I almost want to head up there so I can tag along to that Eoin Colfer event.